XYtronic Soldering Tools are the ideal solution for mid-level production and repair organizations seeking to match technical performance, price affordability and equipment durability. 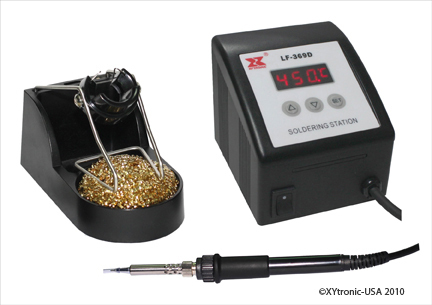 XYtronic became the first company to patent the "electronically controlled soldering station" in the 1980's. This unique patented design allows XYtronic customers to fine tune their soldering temperatures without changing the tip. Today's XYtronic continues its time honored tradition of improved product design - continually adding new features and accessories to address the changing needs of the industry. With over 25 years of experience in the industry, the XYtronic name assures its customers of an uncommon expertise in the soldering technology, quality products and unsurpassed customer service. 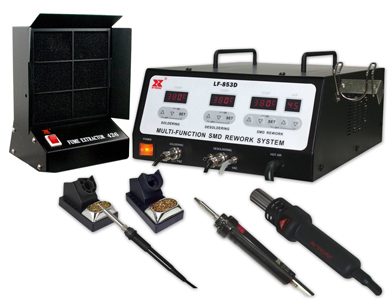 Xytronic soldering tools are sold worldwide through a network of Authorized Distributors. Our headquarters is staffed with our handpicked crew, providing you with product support and customer service with a personal touch. We hope you enjoy your tour of our website. Please contact us for any additional information not found on our website. 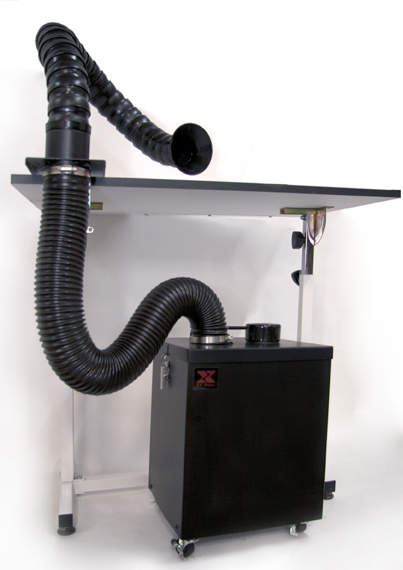 Duo vac fume extractor complete with arm kit. Features 3 stage Hepa filtration with filter sensor and built in silencer.